Some insights into e-commerce in Argentina and an interview with Sebastian Fantini on how this new system will benefit the market as well as the user experience. When Marcelo Claure, SoftBank Group COO said this in a statement for Bloomberg about the launch of a $5 billion technology fund focused on Latin America, he was not specifically talking about Argentina. But now, this quote could definitely relate to this country. If you are already investing in Argentina, it’s time to think about upgrading. If you’re not, there has never been a better time to put the country on your expansion roadmap. With the recent changes made by the Argentine Government to the international Puerta a Puerta process, Argentina has taken a big step to reduce bureaucracy and accelerate foreign investment by optimizing online purchasing processes in the country. The implementation of the new system will be done from a single portal and is the result of joint work between the Ministry of Production and Labor, AFIP-Aduana and Correo Argentino. What can we expect in terms of its impact on crossborder ecommerce? Let’s start by stating that the compound annual growth rate (CAGR) of ecommerce in Argentina was 50% in the last 7 years, which supports the argument that, despite the country’s economic instability in recent years, international ecommerce has seen potential to continue investing there. It is also the third largest market in Latin America, with a growth in ecommerce operations of more than 37.5% in 2018, according to the latest WebShoppers Report. 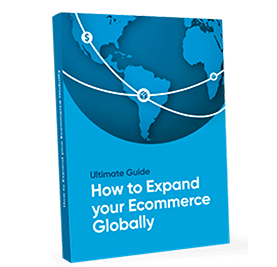 With an increasingly connected world, ecommerce strategies must offer benefits that encourage online shopping without complications and guarantee the security of personal and financial information at all times. In this sense, Argentina has become one of the best scenarios in the region, as 40% of the country’s population buy online and are familiar with Internet transactions. According to the director of the Argentine Chamber of Electronic Commerce (CACE), Gustavo Sambucetti, among the more than 18 million Argentines who make purchases on the Internet, about 43% have already made a transaction on foreign platforms. These are users familiar with ecommerce trends, who are looking for better prices, as well as better service channels and response times. An ecommerce strategy has to go far beyond a successful transaction. Before this, it has to have original content that leverages the strategy and connects with consumers; it also has to create a dynamic conversation that strengthens the brand value, but above all, it has to offer an agile user experience that makes everything much easier and with which shoppers feel so satisfied that they will want to return once again. We spoke with Sebastian Fantini, Product Manager and expert in LATAM at EBANX, about these recent changes to the Puerta a Puerta process in Argentina. Among the interview’s highlights, the volume of transactions in ecommerce operations is expected to increase, thanks to a much simpler dynamic that will allow Argentine buyers to access many more products and global markets. For Fantini, the most positive part of these changes has to do with the user and how an ecommerce strategy has to be focused on much more than selling a product, but on creating a satisfying, safe and aspirational experience for users. “The main benefit here is for the consumers that were considering buying from international merchants but needed to deal with a non user-friendly process to receive the package at home. With the new Puerta a Puerta system, this is now improved and we will expect more adoption by shoppers. In fact, on the first day of the new system, more than 12.000 users registered at the Correo Argentino website, which clearly shows the engagement and positive impact that this news brought”, said Fantini. The new system was developed thanks to the collaborative work between Reingeniería de Aduana, Sistemas de AFIP and the Correo Argentino team. Its main objective had to do with simplifying the purchase process and removing discomfort experienced by Argentinean buyers through such steps as obtaining the Clave Fiscal 3, the creation of an electronic payment flyer (VEP) and knowing how to order the product correctly so that it arrived effectively at their doors. With the new rules, it’s now possible to make 12 purchases up to $50 each without paying tax, instead of just one of $25. And this scenario can positively impact the average ticket of foreign purchases. “Yes, it would depend on the merchant but of course in the past, with a limit of $25 dollars, no taxes and only one purchase per year, the average ticket was around $20 dollars. So now, increasing to $50, this will probably be a little higher. But the big benefit is that the same effort was needed for a $2 dollar transaction as for a $25 dollar one and now, with the limit going up to $50, we can see that the average ticket can be closer to 50 rather than 25”, said Fantini. This suggests that consumers would be willing to spend more, bearing in mind that the 12 purchases allowed under the new rule are not cumulative – an opportunity to open up the market and encourage ecommerce transactions exponentially. Another benefit of the changes established in the process has to do with packages that remain in the customs offices, which never arrive at their destination after not having the means to be verified. “In the past, with the old Puerta a Puerta, around 50% of packages were not delivered to customers and most of them needed to go back to their country of origin”. The main reason? Bureaucracy and additional steps that made it difficult for consumers to verify the information. With the new system, if the content of the package has to be verified, the customs service has introduced computer tomography equipment that allows you to see the content without opening it, so the consumer doesn’t need to go to Customs to verify the shipment anymore. Increase transactions made by regular consumers. Catch the attention of new consumers through the benefits of this new process. Investing in Argentina is currently an excellent opportunity, taking into account local efforts to establish platforms that compete with global markets in terms of infrastructure and technology. In addition, the social dynamics of the region contribute much more to the successful development of ecommerce trends that are connecting the world to the southern country. In fact, Internet penetration is set to expand to 65% by 2021 while smartphone usage is expected to increase from 10% to 47% by the same year. According to statistics revealed by We Are Social, in 2018 Argentina led the level of Internet penetration in Latin America with 78%, along with Chile, also with 78%. What is leading Argentina to success in ecommerce strategies? A major improvement in the quality and efficiency of the logistics and delivery service, such as the recent changes in the Puerta a Puerta process. Willingness to establish policies and standards that benefit foreign investment, prioritizing the user experience by opening up the market and product portfolio. An exponential increase in the proportion of buyers in relation to the total number of Internet users. Expansion of connectivity and mobility. Capacity of technological development to offer agile and secure platforms and payment methods. The possibilities are wide and promising for investing in Argentina. Changes in regulation that promote healthy consumption and local willingness to make efforts in logistics and technological infrastructure are also complemented by the spirit of the Argentinean consumer, eager to buy from international ecommerces and for better solutions.